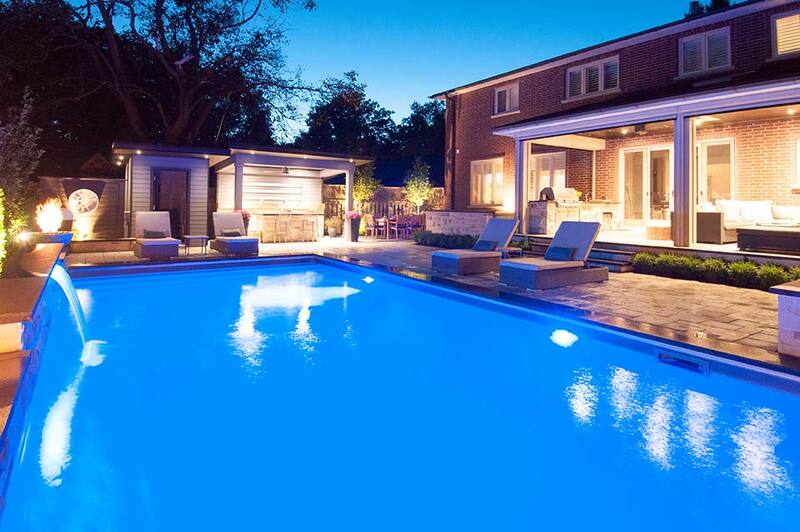 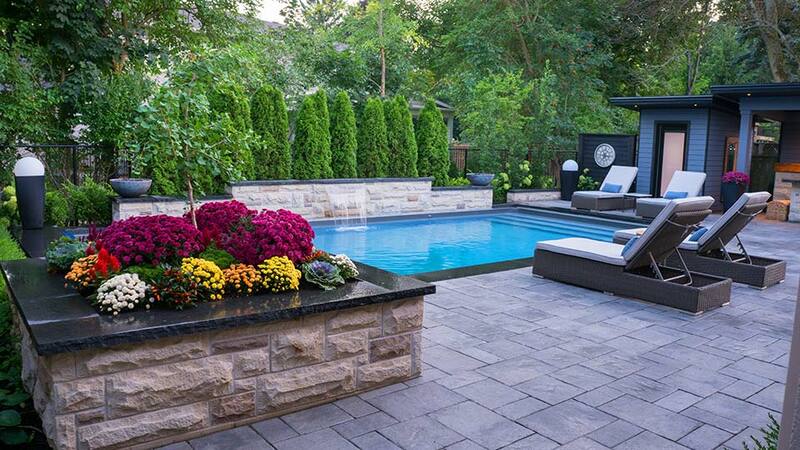 The Jurard’s backyard reminds us of a chic, relaxing spa. 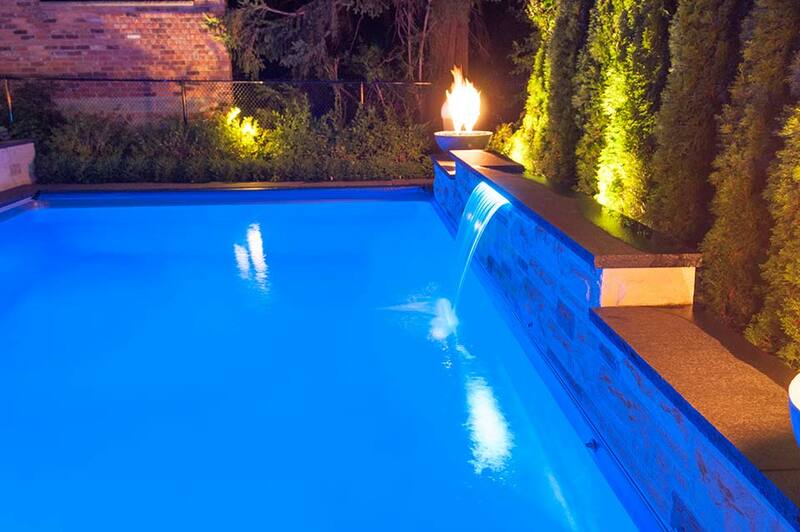 Their modern Rectangular Inground boasts memorable features such as Full Width Straight Open Top Inside Steel Pool Steps and a stylish brick wall complete with a Sheer Descent Water Fall. 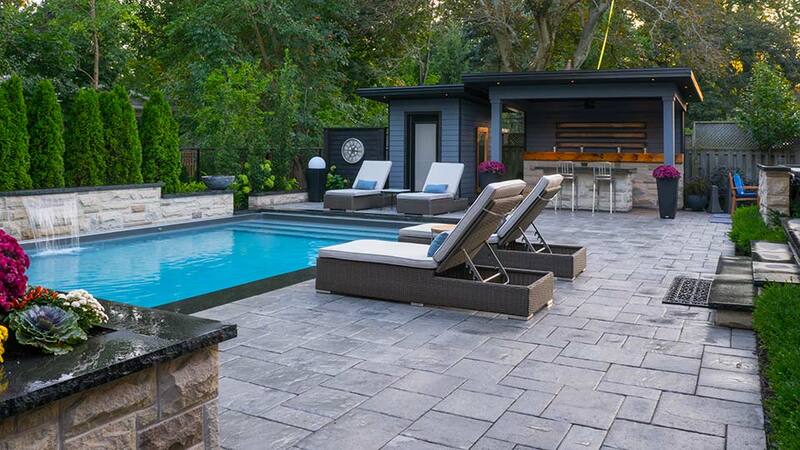 This inground’s Natural Grey Full Vinyl Liner also matches delightfully with the surrounding stone patio floor and neutral coloured loungers. 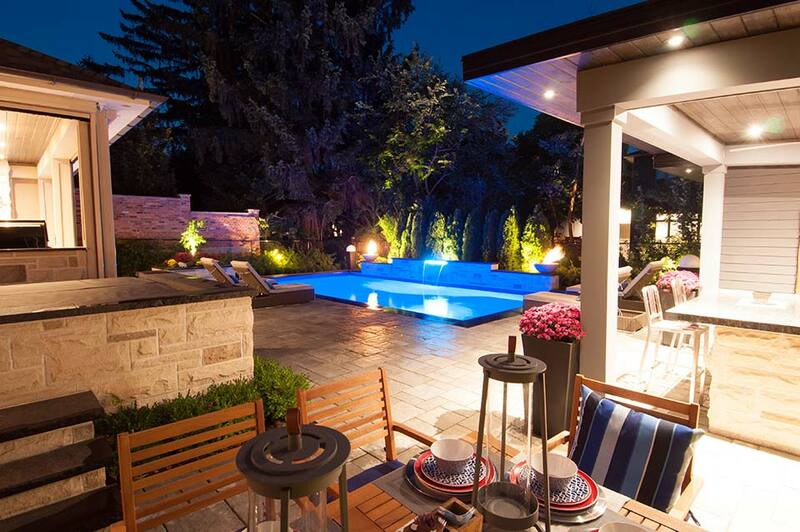 When the Jurard family is not splashing around in their pool, they can be found sharing a meal at their outdoor dining area or enjoying a drink under their fabulous cabana bar. 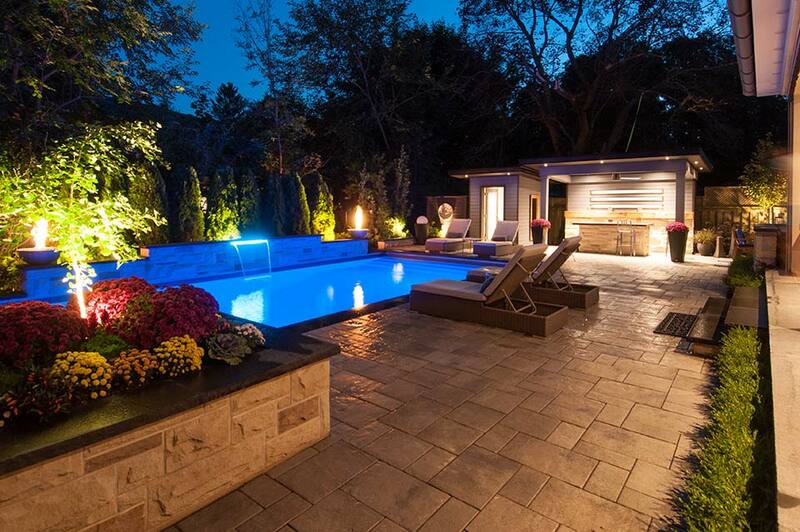 The Jurards also decided to build a bathroom beside their bar as an additional outdoor living perk. 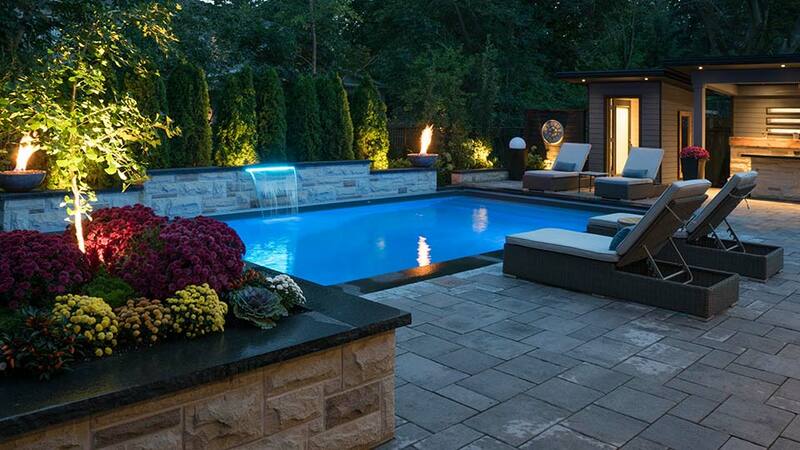 We would also like to pay hommage to the sleek clock wall beside the bathroom that adds both style and privacy to this backyard oasis.